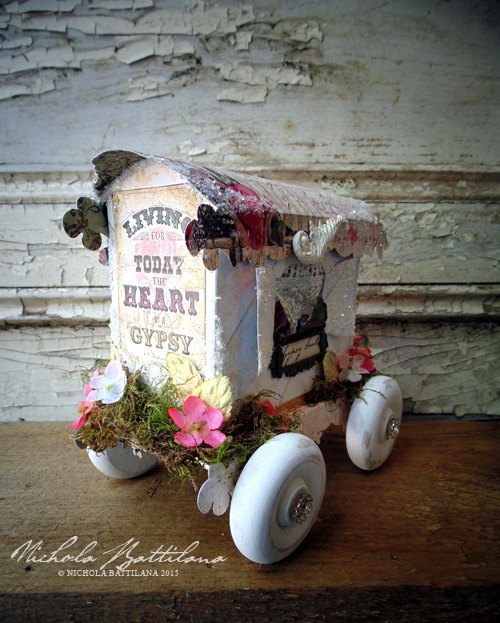 Pixie Hill: More paper caravans! 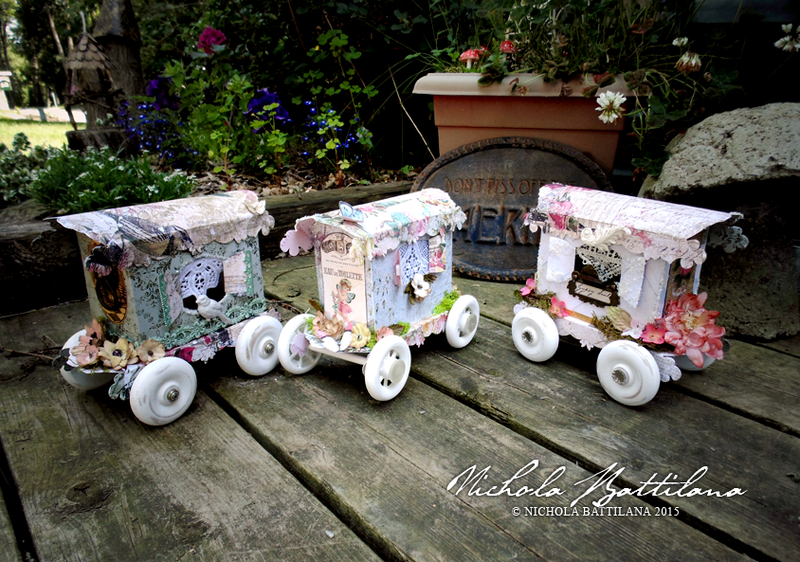 "Nichola, didn't you already post a paper caravan yesterday?" I know, I know... yes, I did... but they're so cute and fun! Just look at them gathered on my front stoop. Note: Although they look darling outside with the flowers and such, these are not appropriate for outdoor garden decorations. The chipmunks would surely try to ride off in them! There were a number of requests for a tutorial... which I will consider, but it will have to wait a while. Tutorials take up sooooooo much time that I'm limited to doing about one a month. I do have a big fat tute coming up in a couple of weeks that I think you'll like very much *fingers crossed*. 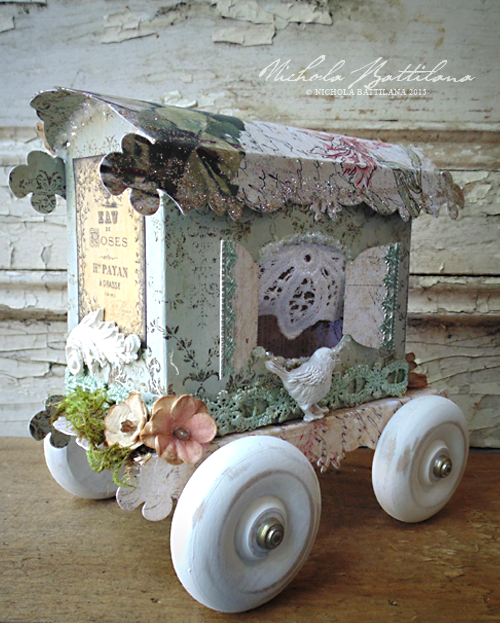 If you're interested in one of these lovelies they are listed in the etsy shop HERE. Just too cute.........where do you find the time? You can't have too many caravans! They're just so beautiful. Love these! 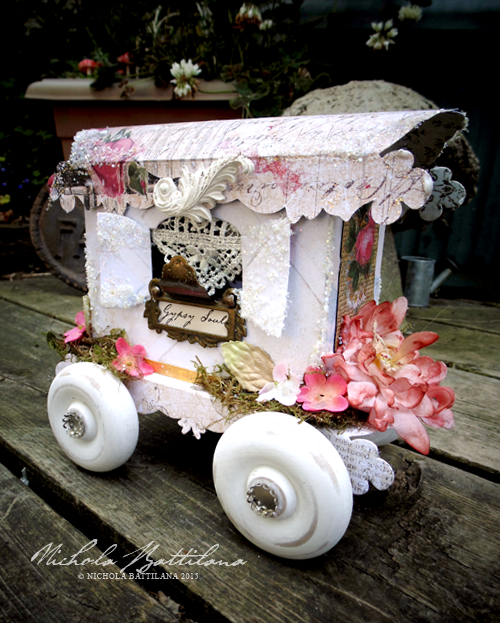 So dainty and whimsical!